Comprehensive insurance coverage is a type of auto insurance that protects you against losses caused by covered events not related to a collision. These events often include storms and natural disasters, such as a tornado or a hurricane, falling objects, theft, vandalism, or animal damage. If the vehicle is stolen or considered a total loss after an incident, the maximum amount you would receive is the actual cash value of your vehicle, minus the deductible you have for comprehensive insurance coverage. Unlike liability insurance, comprehensive is an optional coverage and to include it on your policy, you must also purchase collision coverage. When people hear the word “comprehensive,” they might think they are covered for everything, but that is not the case. Basically, comprehensive coverage protects you against damages to your car that are the result of covered risks not related to a collision. 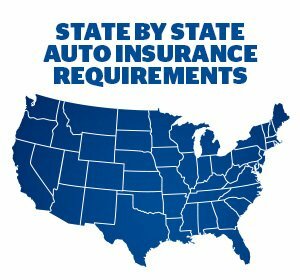 In order to purchase comprehensive coverage, you must also purchase collision coverage. If you lease or finance your car, your bank may require both collision and comprehensive insurance. Even if you have comprehensive insurance coverage, you should follow common sense rules to prevent becoming a victim of theft. Never leave your car unlocked. Never leave the engine running while unattended. Don’t leave a spare key where thieves can find it. You also do not want to make repeated comprehensive or collision coverage claims, especially if you have a high deductible. But if you do, here are steps to take when someone dings and dents your car. Record information. If the driver who dents your car hits and runs, write down as much information as possible, take pictures of the damage to your car. File a police report. This will support your insurance claim. File an insurance claim under your collision coverage. Are you paying to much for auto insurance? Freeway Insurance lets you compare rates to find the best auto insurance policy for your needs and budget. Get a free auto insurance quote online or over the phone at 800-777-5620.